After predicting two race wins and two pole positions correctly we look ahead to Bahrain Grand Prix, held under the lights for the first time in 2014, where it is difficult to see the pendulum swinging away from Mercedes and their stunning early form. The team would never admit it, but Malaysia was as comfortable as it gets in a extremely satisfactory weekend for all involved at the Mercerdes AMG F1 team. Lewis Hamilton stated that 'the race was tougher than it may have looked' but inside he knows that as far as a race weekend goes, that was simple. The only factor that could have prevented the 2008 World Champion from winning after pulling away on the first lap was a lack of concentration, complacency or a technical failure. Reliability will be the only doubting factor concerning Mercedes in its quest for three successive race wins, yet the cars' dominance in Malaysia showed that Hamilton and Rosberg can coast through the latter stages of a race and not push their cars to any damaging limits. The drivers are likely to welcome the news that Bahrain has become the third night race on the 2014 F1 calendar. A drop in temperature during the night will make the 57 laps more bearable for the drivers and the cars and tyres will not be too displeased either. There are unlikely to be big surprises at the Sakhir Circuit, as the teams participated in heavy testing throughout the winter in Bahrain. Upgrades to performance will be minor rather than major in such a short space of time from last Sunday's race, so the relative performance in Malaysia is likely to be emulated. Fuel consumption could be the prominent talking point this weekend as heavy braking and long straights will drain the allotted 100 kg of fuel, seemingly favouring Mercedes and Williams on evidence from Melbourne and Malaysia. After two previous dramatic wet qualifying sessions, it looks set to be bone dry throughout this weekend in Sakhir and finally the true one lap performance will be tested on Saturday in the 10th Bahrain Grand Prix. Unless there is a first lap crash or a major mistake in qualifying, it's difficult to look past Hamilton and Rosberg for the race win after their faultless 1-2 in Malaysia. 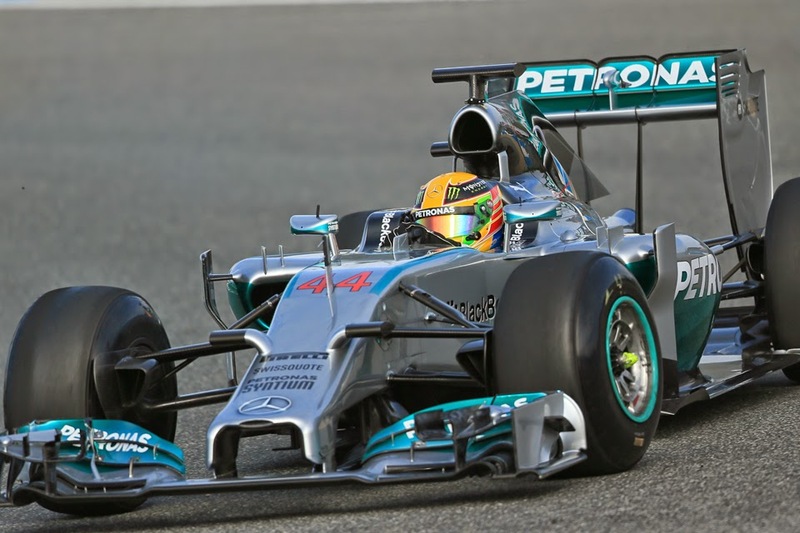 Hamilton is the outright favourite at 1.83, while Rosberg sits second at 3.45. The key determinant of the race outcome and whether Rosberg can challenge Hamilton is his qualifying performance. If Nico can start on the front row, something he hasn't managed in the first two races of 2014, then he will have a shot at Lewis down the long straight and into turn 1. Rosberg jumped from third to first before turn 1 in Melbourne and from third to second in Malaysia, so there's no doubt he has already got a firm grip on the start procedure. If Mercedes land a 1-2 in qualifying then it's definitely worth a punt on Nico as his fast starts will give Hamilton something to think about. Yet a confident, smiling Lewis will be difficult to overcome and therefore he deserves the 'Best Bet' title this week. Fernando Alonso's three race victories in Bahrain makes him an outside shot for the win but he's unlikely to keep up with the Silver Arrows. If you are looking for better value then predicting who can finish in the top three of qualifying may be your cup of tea. Williams have been hindered by the rain in previous qualifying sessions and it wouldn't surprise me if Felipe Massa or Valtteri Bottas takes the third spot in qualifying. Otherwise Vettel could overcome the lack of straight line speed under the RB10 and continue to make good on the impressive improvements made by Adrian Newey and co.
Is Kevin Magnussen finishing on the podium worth a flutter? Similarly to the Qualifying Top 3 Market, there is seemingly one spot up for grabs if the Mercedes earn their second successive 1-2 on race day too. It's a good time to back the chasing pack for a podium finish as fuel consumption and tyre wear will be challenging to manage. Alonso and Kevin Magnussen provide some good value to make an impact in Bahrain.